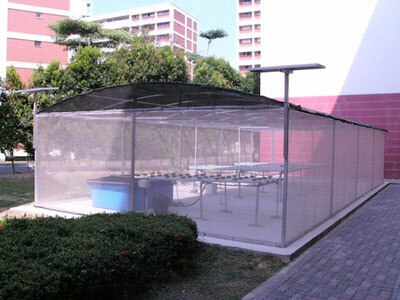 One of the main objective of our company has always been on education & for hobby market. 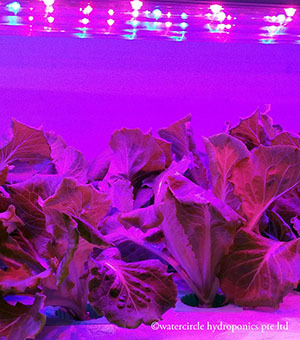 For the past 16 years since our establishment, we have set up hydroponics, aquaponics and aquaculture systems for numerous schools & hobbyist. We provide customised solutions and tailored enrichment lessons to teachers and students as well. 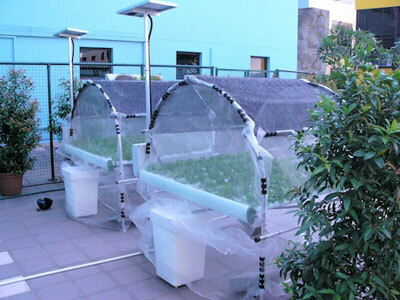 Stand-alone-NFT systems are easy to maintain and operate. It is also affordably priced especially for schools who may have a budget constrain or who wants a smaller system to start with before progressing into something bigger. 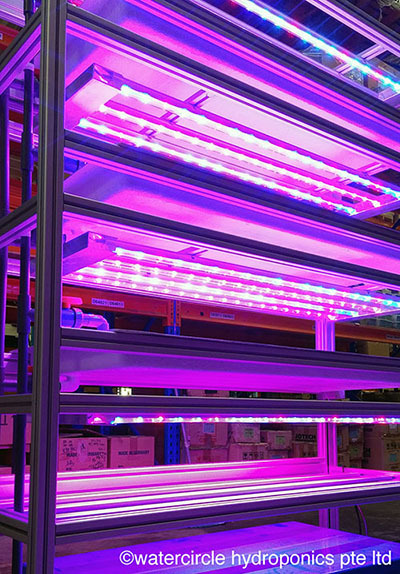 We have systems for growing vegetable, herbs, flowers and even vine crops like tomatoes. The systems come in two versions either a normal AC run system or a solar powered system. 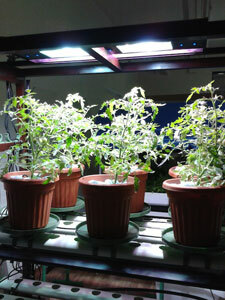 Besides NFT (Nutrient Film Technique), we have also set up other hydroponics techniques for schools such as FFT (Flood & Flow Technique), Drip Irrigation and Aeroponics. 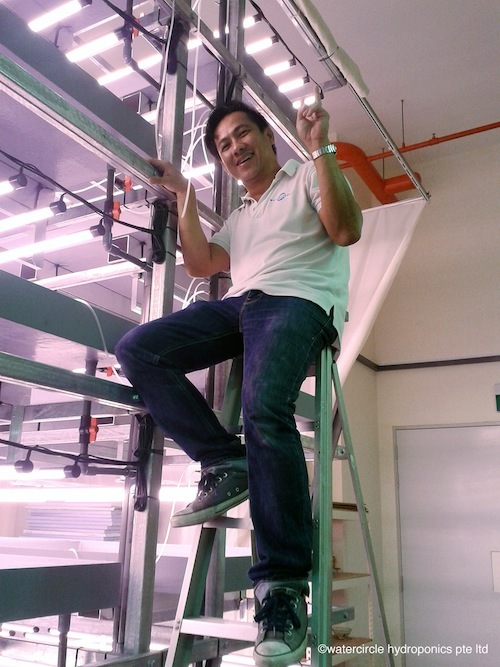 We have setup Indoor Hydroponics with artificial lighting. This system is placed in a school's laboratory. 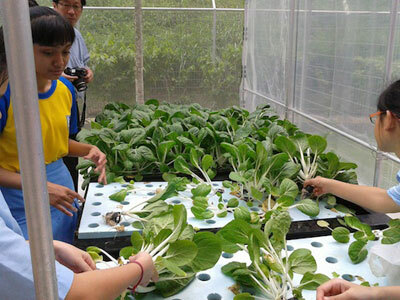 We are the pioneer in aquaponics in Singapore having collaborated with the Agri-Food and Veterinary Authority of Singapore. 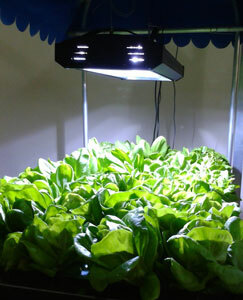 Aquaponics is a combination of hydroponics and rearing of fresh water fish. 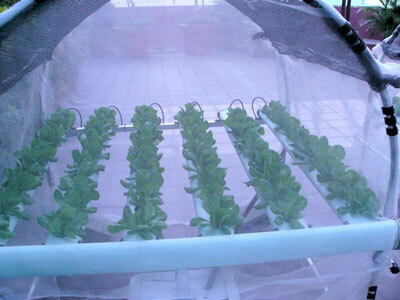 The waste from the fish is channelled to the crops. A natural eco-system. 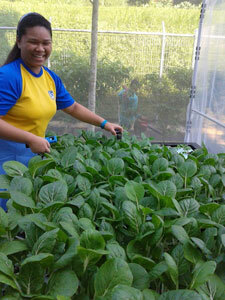 For food production, fresh water fish like tilapia can be raised and you'll have vegetables as well. 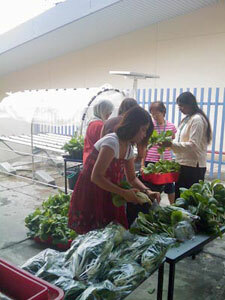 Aquaponics systems are usually tailored to the schools's needs. Normal AC run systems are also available. 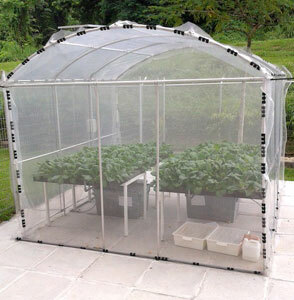 Besides stand-alone-systems, we also built walk-in greenhouses or shadehouses. 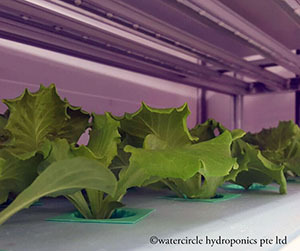 These are used to house the hydroponics and aquaponics systems. 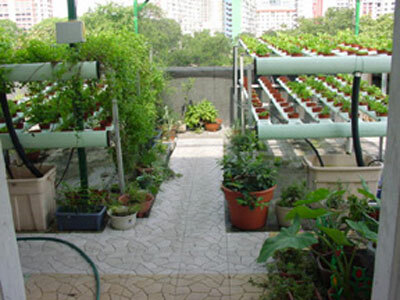 Some schools have a hydroponics and an aquaponics system in the same shadehouse so as to make comparison of vegetable or crops grown using hydroponics nutrient and recycled fish wastes. We do not just set up systems for schools but each system we set up, we would usually provide some technical know-how for teachers and students incharge of the systems. To support the educational aspects, we conduct related enrichment programmes and workshops . 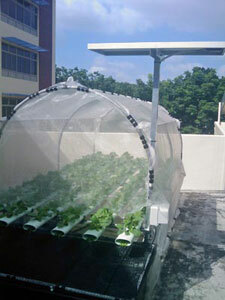 This will give students a sound knowledge of hydroponics, aquaponics and aquaculture. Besides enrichment programmes on the the concepts of these systems, the students will also learn about plant life, nature and the ecosystems. They will also learn about renewable energy, harnessing the power of the sun. 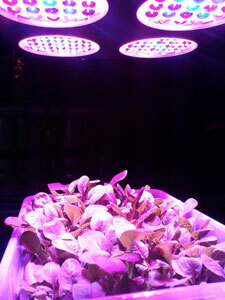 Other than the science aspects, there are programmes to teach students the benefits of plants such as herbs. They can learn about herbs and how they can be used to in our daily life besides being medicinal. They can for example learn how to make beneficial herb soap in our fun and safe soapmaking workshops.